In general, when an application requires hydraulic power, double acting hydraulic cylinders are used more often than single acting hydraulic cylinders. Double acting hydraulic cylinders deliver force in both directions with fluid being present on both the base and rod sides of the piston. For some applications, gravity or weight assists with retraction, however, hydraulic pressure is still frequently applied in order to help control your double acting hydraulic cylinder. These types of cylinders create more work output in the push action, requiring more force and moving slowed while the pull action moves more quickly and less work output is generated. Every one of Best Metal Product’s double acting cylinders are piston type which means that the bypass of fluid is prevented by a seal while the cylinder pushes against the piston. Our four proprietary safety valves, or cartridge valves include pilot-operated check valves, internal bypass valves, counterbalance (CB) valves, and flow control valves. Particularly critical, the CB valve protects against over-center conditions. Our cylinder cushioning technology allows our double acting hydraulic cylinders to stop movement in a vibration free, precise, and repeatable way. This softer way of landing is perfect for many different applications, including manually controlled man lifts, however, it’s also a great way to lengthen the life of your cylinder by reducing mechanical stressors. At Best Metal Products, we are the premier OEM choice in double acting hydraulic cylinders in Grand Rapids, Michigan. 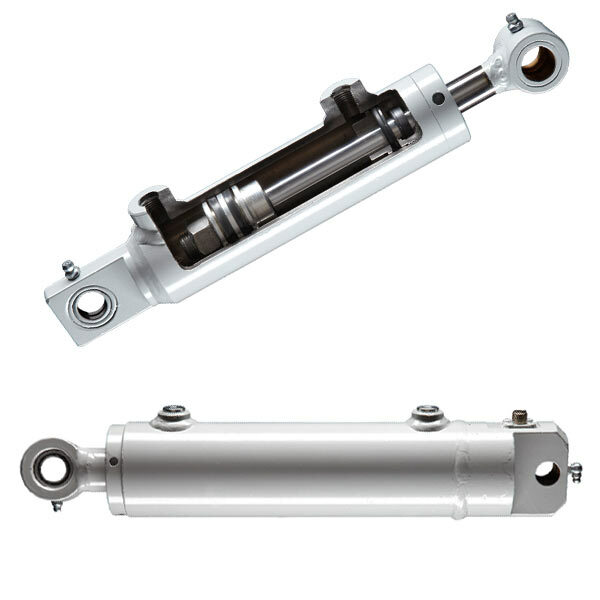 We are known as a leader in the design, prototyping, and manufacturing of hydraulic cylinders for OEMs in the mobile and industrial hydraulic cylinder markets. If you’re in need of a hydraulic cylinder expert in Grand Rapids, contact Best Metal Products today!